St. Paul invites you and your children to consider an amazing opportunity to answer God’s call to SOAR like never before. 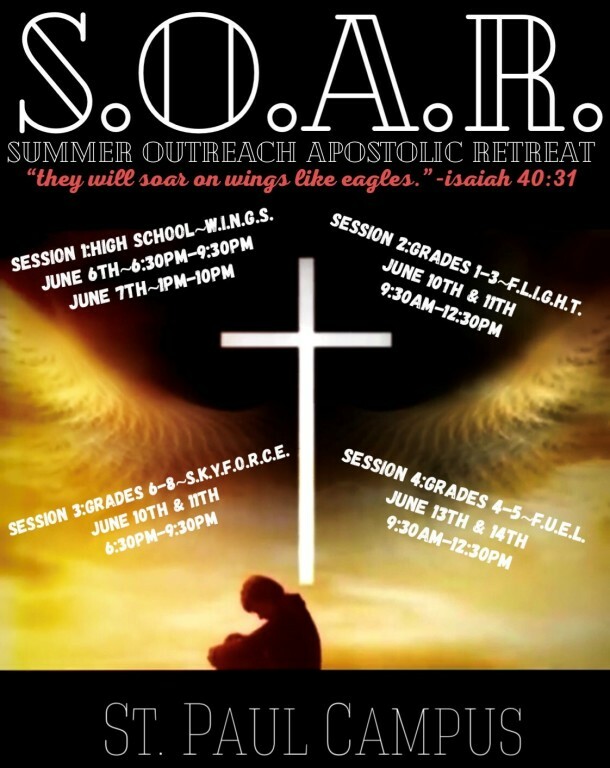 The Youth Ministry and Religious Education Programs present St. Paul’s first ever S.O.A.R. this June. The name for this spirit-rich retreat camp was inspired by Isaiah 40:31, where we are told that “they will soar on wings like eagles.” We have divided the camp into age-appropriate sessions and tailored the content to be relevant, relatable, and inspirational, while focusing on the theological virtues of faith, hope, and love. Registration opens on Sunday, March 25th. 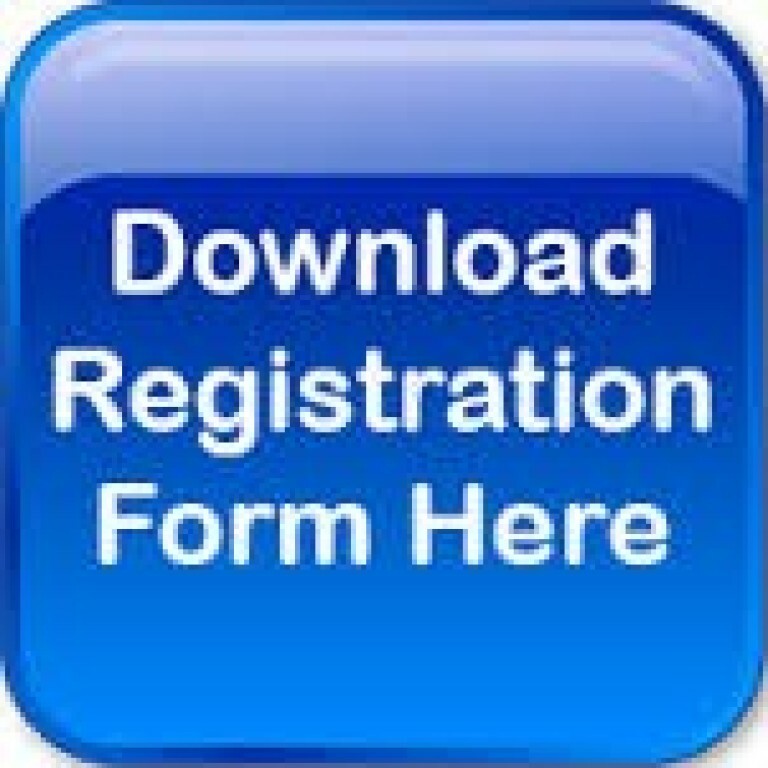 You may download a registration form by selecting the button below, or you may pick up a form in the St. Paul Parish Office. 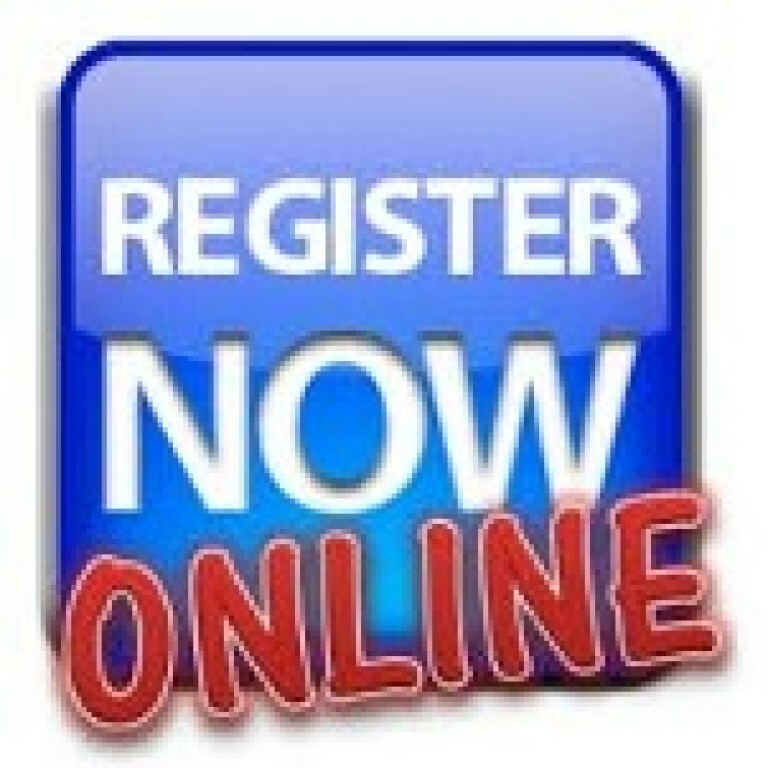 You may also register online by selecting the "Register Now" button below. Please make checks payable to St. Paul Catholic Church. Turn in the form and payment to the Parish Office, ATTN: Karla Melgar. Please feel free to contact Karla Melgar or Cayleigh Heron with any questions.